In most cases commercial lease agreements will include the same rules, regulations, and rights as those that exist in normal landlord and tenant contracts. The main difference with commercial lease agreements occurs when a lease is nearing its expiration date and the law then differs with regards to renewal issues. With the introduction of the Landlord and Tenant Act 1954, business owners were offered protection by the law, specifically regarding renewal issues. Under the terms of the act, landlords could no longer simply throw out a business tenant or change the rental terms to one which would be considered extortionate. Business owners who had built up a favourable amount of business over the length of their existing lease could now demand a renewal of the expiring lease. Landlords are entitled to increase the rent at the end of the lease period but only up to the current market value. Any extortionate rise in rent can be deemed a criminal act and there can be severe consequences for the landlord. There is an official Code of Practice laid out for commercial lease agreements. One of the aspects of the code is to make businesses more aware of their rights when leasing property. Terms and conditions of any agreement or contract are all important, but where commercial lease agreements are concerned there should be a degree of flexibility on the part of the landlord when agreeing the terms. The length of the lease should be agreed in the contract’s terms and conditions. There should be room for negotiation between the tenant and the landlord but in most cases the lease will usually last for fixed terms of five or ten years, and long leases of 15 years are not uncommon. There should also be a clause set into the commercial lease agreement regarding reviews of the rent every set number of years. Many tenants will be naturally cautious about committing themselves to long leases. Landlords should be willing to negotiate various lease lengths and in many cases a break clause can be figured into the terms and conditions of the contract. With a break clause written into the contract the tenant will be able to end the lease after so many years, as is stated in the terms and conditions. Break clauses should be unconditional. For instance, a tenant may find that they cannot end the lease if the property is in a state of disrepair. The landlord may state that the terms and conditions of the break clause were such that it cannot be terminated if the property is not repaired by the tenant. This is a clause that could have been written into the contract, and if it does occur the landlord will be within their rights to continue applying the lease. As such there may be many conditions such as these written throughout the contract. There will be many details in a commercial lease contract and most will be of a standard nature as with other types of tenancy contracts. The tenant should look out for clauses regarding repairs to the property, and the responsibilities of the landlord. There will also no doubt be clauses on health and safety responsibilities, and the resale of lease rights. It cannot be stressed enough that legal advice needs to be taken when any contract such as commercial lease agreements are being drafted. The terms and conditions need to be clearly defined and understandable by both parties. If they are not clearly understandable then the agreement may not be enforced in a court of law. The person entering into the contract must understand the terms and agree to them before the contract can be deemed legally binding. Lawyers are also extremely good when it comes to negotiating agreements with landlords, and this should be taken full advantage of. 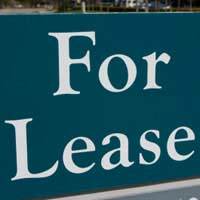 Commercial lease agreements should be afforded extra caution on the part of the tenant. Any terms and conditions that are unclear or look unfavourably balanced towards the landlord should be clarified with legal advice. Never sign any contract until all the terms and conditions have been understood and agreed upon. Great Article. Thanks for the info. Does anyone know where I can find a blank "Commercial Lease Contract Form" to fill out? You may be able to find a Commercial Lease Agreement form to download, if you do a search online, some are free, some paid for. I'm afraid we can't recommend any directly. However, if you do download one, you should ensure that they are usable as a legal document. Can landlord charge me extortion building insurance on commercial premises. Or can I get a quotation like for like?